ExtendedStayDeluxe Jacksonville Jacksonville, Hotel null. Limited Time Offer! It is situatedRead more at 4699 Lenoir Ave S. in the south-east section of Jacksonville, at only 22 minutes by car distance from the center.The hotel has 73 rooms ranging from DLX1Q to DLX1Q rooms. 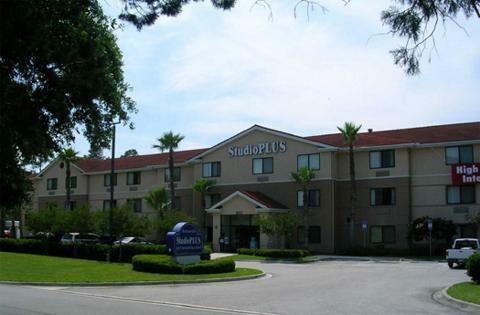 The least expensive rooms at the ExtendedStayDeluxe Jacksonville start at 88 US Dollars.The ExtendedStayDeluxe Jacksonville has all the services one would expect of a two star hotel in Jacksonville: Free Parking. This establishment is more of a Budget hotel .It is part of the hotel chain EA.This hotel offers a unique service : heated guest rooms.For those going to the airport, Jacksonville is 18 miles from the hotel which is about 57 minutes by car.Take advantage of the swimming pool which is available at the hotel.Note:This hotel has a free parking.